narrowness | The Lifestyle Factory. In a world where cities grow of population, people meet the most in the urban place. Because of the population growth, places on the street generally are becoming more anonymous, impersonal and more functional. Mankind is questioning about the everyday life, analyzing the circumstances and want to find a playful solution to improve the awareness of life. People want to reinvent the urban place by bringing back fun and personality. Together we invent the urban place more towards a play society. Signals as ‘ActiWait (StreetPong)’, ‘Dreamy Playground’, ‘Waterfall Swing’ and ‘Rainworks’, connect well with this. These trends are closing well with the trends Collaboration, Experience Economy and Gamification. Firstly, I want to talk about the ActiWait (StreetPong). This is a concept by Sandro Engel and Amelie Künzler of URBAN INVENTION. This is a pedestrian light (touch screen) that lets you play with a wireless connection against someone on the other side of the road. A video showing this idea traveled around the world surprising millions of people, because it offers pedestrians the possibility to convert boring waiting times into positive experiences. Perhaps it also creates more safety. The ActiWait creates urban interaction and design and art are interwoven in public spaces. After two years of development, the prototype was installed and tested at a traffic light for the very first time. It was a great success for URBAN INVENTION and now they’re working on a product that is internationally marketable. 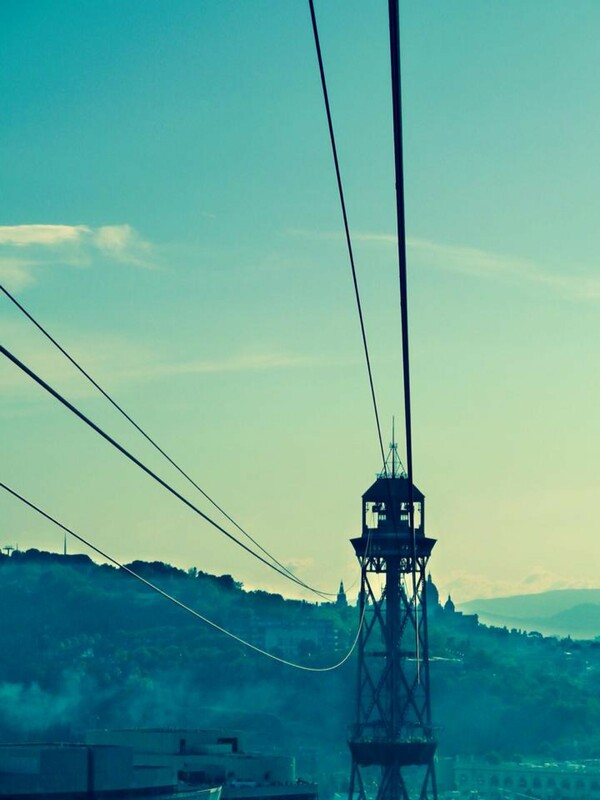 Besides they hope to change the image of cities all over the world. The second signal is the Dreamy Playground designed by studio Les Astronautes. The designers turned a dark, narrow alley into a dreamy playground in Quebec City. 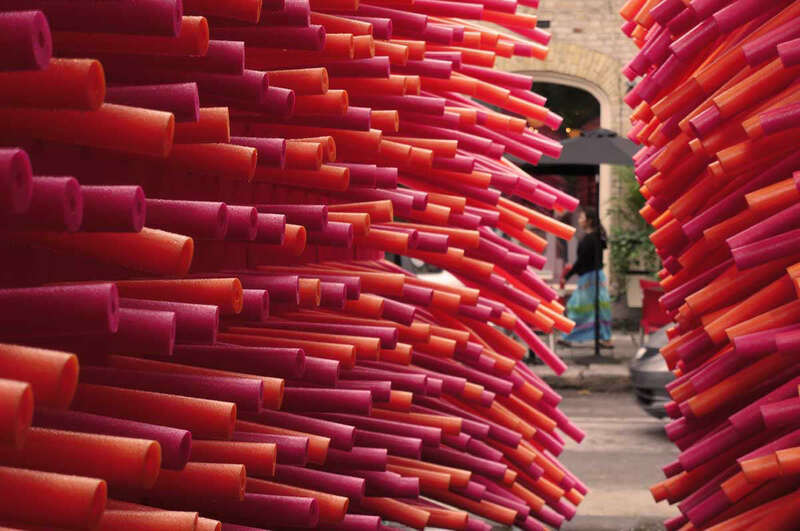 The only thing the designers used are pink and orange colored swimming pool noodles on both walls of the alleyway. The place gets a whole new identity and experience. According to the designers, the combination of anonymity and narrowness of this specific place inspired them to come up with this idea. The intervention was part of Quebec’s public art festival Les Passages Insolites, which aims to reshape our thinking of neighborhoods by questioning our relation with public space. In challenging visuals that also create an interaction with users, the known surrounding becomes new and adventurous. Thirdly, the Waterfall Swing is an amazing signal. It’s an interactive art piece and a collaborative project between Mike O’Toole, Andrew Ratcliff, Ian Charnas and Andrew Witte. 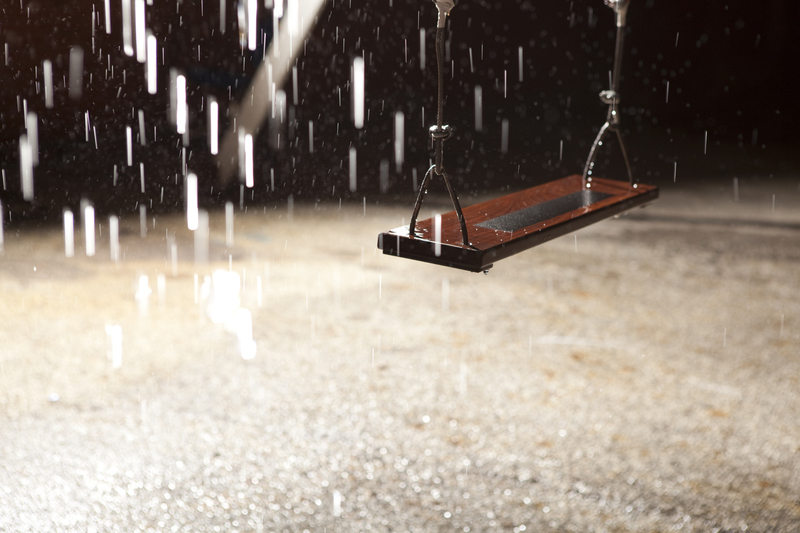 The Waterfall Swing is built by Dash 7 Design. The swing creates a water plane falling in the path of its riders. 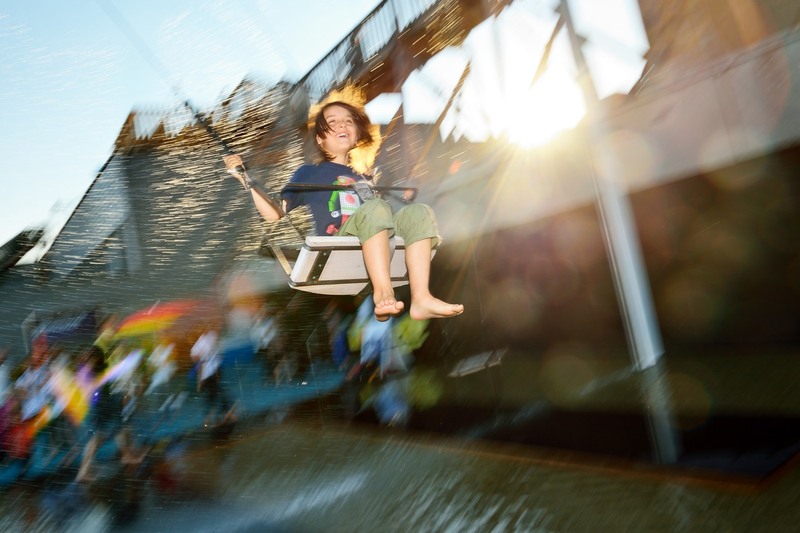 The swing is the first in a series that play with interaction in rides and installations. Riders pass through the openings of the swing’s waterfall. The swing is created by precise monitoring the path of the riders via axel-housed encoders, creating the thrill of narrow escaping obstacles. 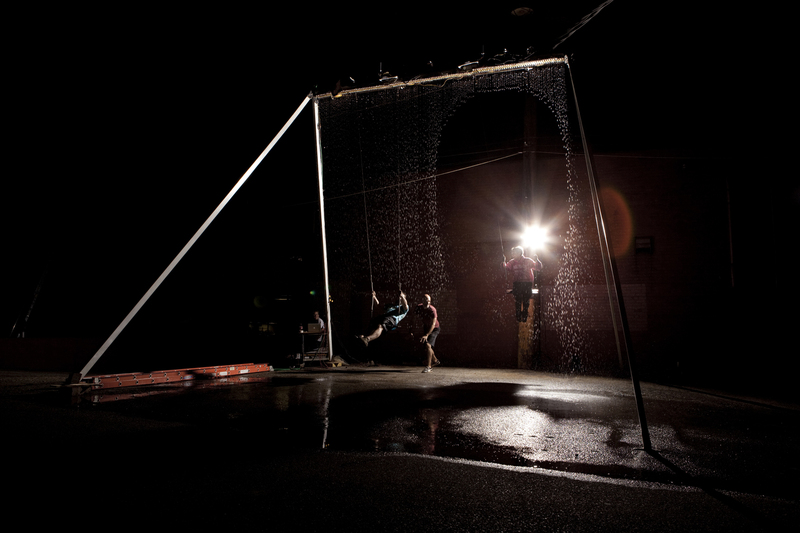 For now, the Waterfall Swing has traveled the world with installations across the United States and in The Netherlands. Finally, I would like to talk about the Rainworks that are made in Seattle by Peregrine Church (right), who is often helped by co-conspirators Xack Fischer (middle) and Forest Tresidder (left). 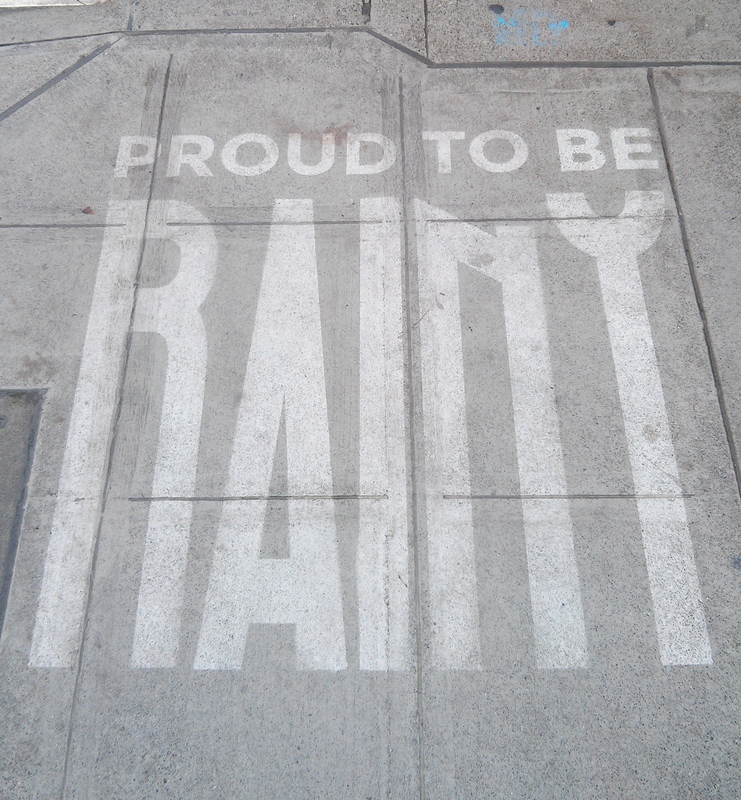 Church makes rain-activated positive messages, games and art on the streets, by spraying a water-repellant coating onto sidewalks through a stencil. The art only appears when it gets wet (the regular concrete turns darker while the concrete he sprayed the coating on stays dry), and it’s hidden when dry. This kind of street art is meant to brighten your day, even when it’s gray and rainy. Some of the signals are a good example of the redesign of places. Companies and organizations are increasingly creating special activities at special places, where you do not initially expect to encounter this. Indeed, it’s a clever use of the land/space and it creates spontaneous interactions. This is why it inspires me, but I think probably also other citizens, organizations and companies. Besides I especially like the idea of Rainworks, because this would work well in the Netherlands with all the rain we have over here. 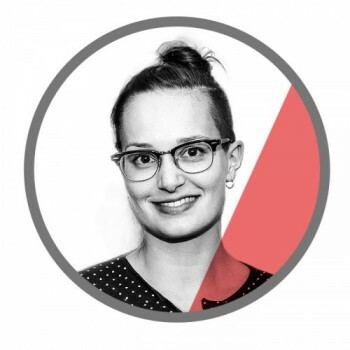 You can see the needs for Collaboration, Gamification and the Experience Economy, because of the growing anonymity, impersonality and modern technology. Individualization and the advent of the Internet have accelerated this. In the future these needs will only increase, because lots of people are looking for new places for their activities, fun and personality in the urban place. By creating concepts and ideas like this, a city has a lot to offer to citizens. Citizens will get happier and the city is becoming more livable and durable. People have fun and laugh more, but they also move more with some of these signals. This is good for the emotional-, physical- and social wellbeing. Be smart and use or create something fun on the streets and you will feel happy!